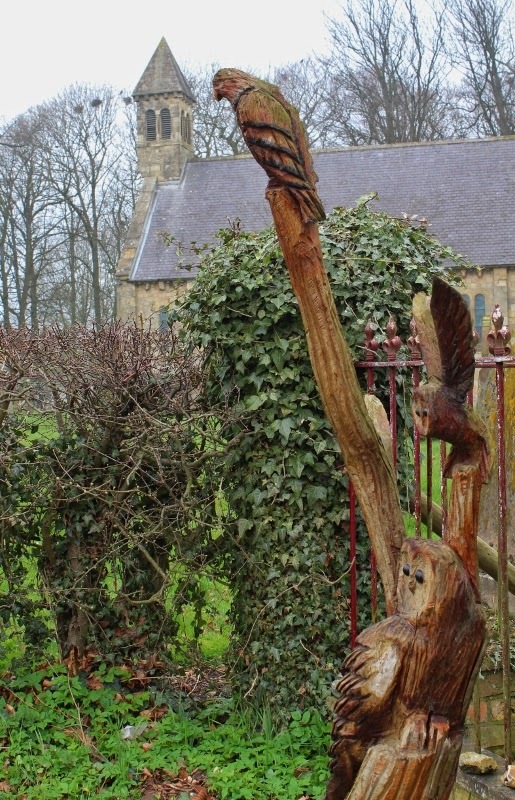 These carved birds are keeping watch outside a house near Fangfoss church. Some very real birds, Rooks, were noisily building their rookery in the nearby trees as I took a walk around. Evidently unimpressed by the rather "wooden" birds of prey nearby. Wow - they are amazing!